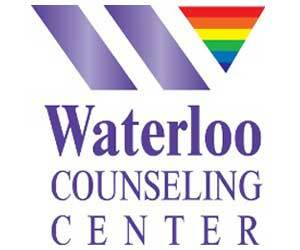 Waterloo Counseling Center provides individual, couples, family, and group counseling on a sliding scale based on income, as well as diversity training to schools and community organizations. Waterloo welcomes the entire community by offering affordable services, recognizing that cost is often the largest barrier to accessing counseling. The agency has expertise in serving diverse populations, including the GLBT community, Spanish speakers, people living with HIV/AIDS, and people experiencing PTSD and other trauma.